Last minute decision here but have decided to run the Little Kings One Mile race on Friday night, which is two days before my first half. I would be a little apprehensive about it if a) I hadn’t already done it before and knew what to expect and b) a ton of people from my training group including coaches are doing it so if they’re doing it, I can do it! It’s a neat little race that kind of kicks of Flying Pig weekend here in Cincinnati. 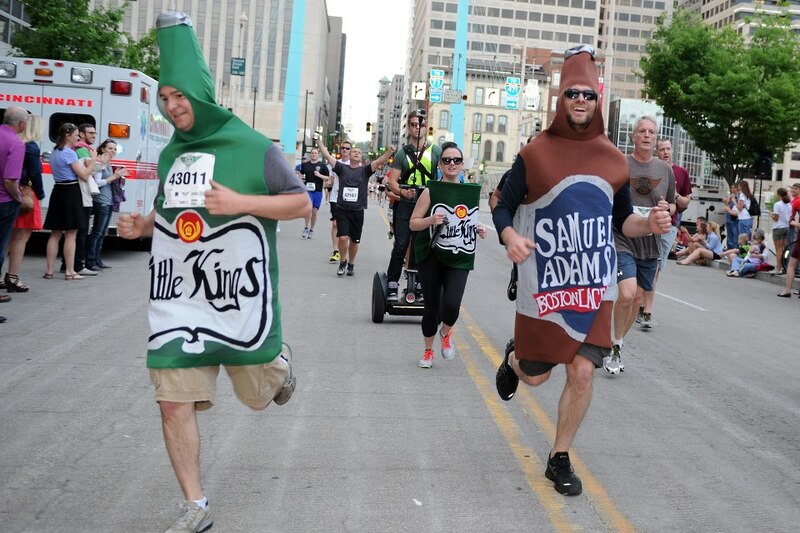 It’s just a one mile race down Main Street in downtown Cincinnati that ends right at Smale Park where there is a festival, band playing, beers! I’ll have to limit the amount of beer I drink afterwards since this year I am running the half on Sunday. As I said, a lot of people from my training group including some of the coaches are doing it so it’ll be a nice little way to hang out and get excited for the big race on Sunday! Last year I did it in 8:32 which is easily the fastest mile I’ve ever ran and that was without really running much or training. I definitely wasn’t running nearly as much as I am now, so I am hoping for sub 8:00 this year! Here are the medals for this year’s race! I’m super excited for everything this weekend! 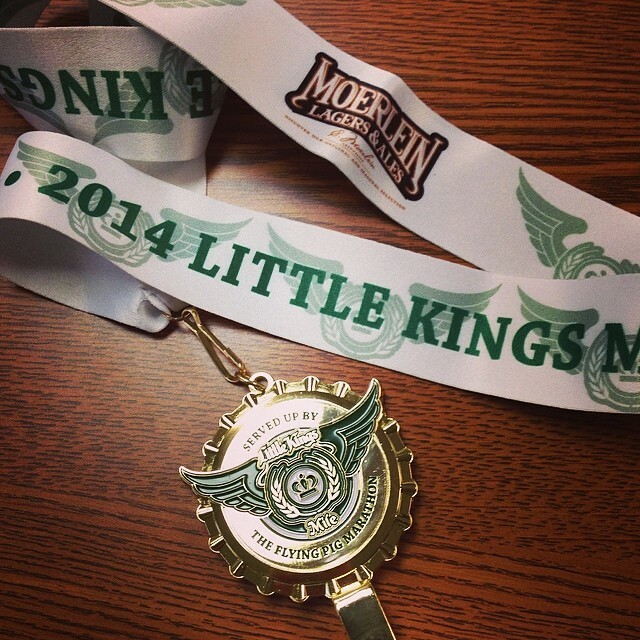 My first big race expo, Little Kings Mile, first half marathon! I have been going stir crazy with this tapering business. I wasn’t able to run last night because I shouldn’t be and because it was pouring rain. I basically sat in my house anxiously awaiting a decent time to go to bed so that tomorrow would be here! The more I sleep, the faster the weekend will be here! How do you guys handle tapering before a big race? Good luck on your race and on your first half marathon! 1 mile races are so much fun, they are basically over right when they start haha! And tapering is always so hard for me. I want to run more but know that it’s just the best idea because my body needs to be rested for the race. But 1 mile should be no problem and I definitely would have done it as well! Have fun!! I love those 1 mile races! The truth is for me, they are hard because you are going at it with all you have to PR! The one I run each year is in St. Louis called the Macklind Mile. They advertise as the world’s fastest mile because is starts high and almost a full mile decline except for a couple of inclines which feel like hell at the time! It’s very popular and especially for fast runners…which I am not. I am targeting 7:30 this year. Good luck on your 1 miler and your half! That race looks awesome – and will keep your legs nice and loose. Plus beer! Good luck with race weekend! Good luck and enjoy the experience! I really don’t have the antsy or anxious feelings that other runners get during tapering. I run in the morning though before work, so usually I just get more sleep when tapering! ← 6 days, 6 days away!